When the English, who seem to have a national fascination with minced meat pies, combined mashed potatoes with minced meat, a truly remarkable dish was born. For over two hundred years, Shepherd’s Pie has been made by cooking chopped up lamb or mutton mixed with gravy, topped with mashed potatoes, and baked until a crispy crust forms. 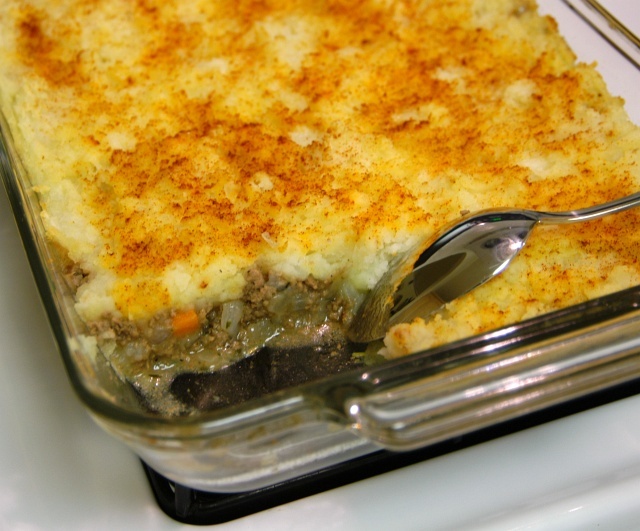 When made with beef, this dish is traditionally called Cottage Pie. ← RE: What if Hurricane Ivan Had Not Missed New Orleans?